HMS ST ALBANS, a type-23 Frigate, currently operating under Combined Maritime Forces (CMF) as part of Combined Task Force (CTF) 150, sprang into action after receiving news of three critically ill casualties on board a cargo dhow. Events on the afternoon of Sept. 30 demonstrated that there is no chance for respite at sea as potentially life-saving circumstances unfolded. “The Saint”, as ST ALBANS is commonly known, launched her Merlin MK1 Helicopter, from 829 Naval Air Squadron from Royal Naval Air Station Culdrose, to search the area where the craft was thought to be and quickly found the vessel some nine miles west of its reported location. In spite of a significant language barrier, the helicopter crew managed to establish communication with the vessel encouraging it to steer an intercept course with the fast approaching frigate and receiving basic information on the state of the casualties and crew. 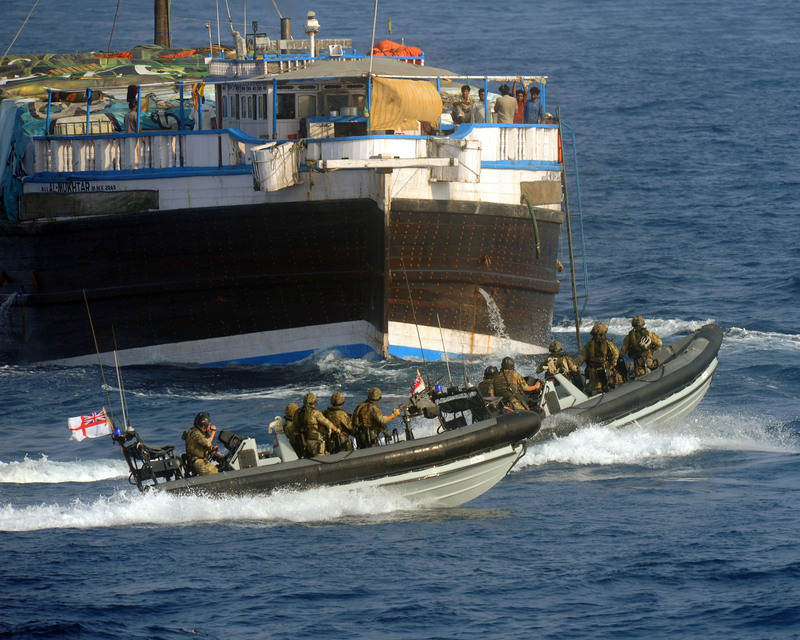 With the dhow in sight, a boarding team combining Royal Marine Commandos with Royal Navy seaman and one Army Interpreter, all serving on ST ALBANS, were launched in the ship’s boats to board and secure the dhow so that the ship’s medical officer could embark and assess the casualties. 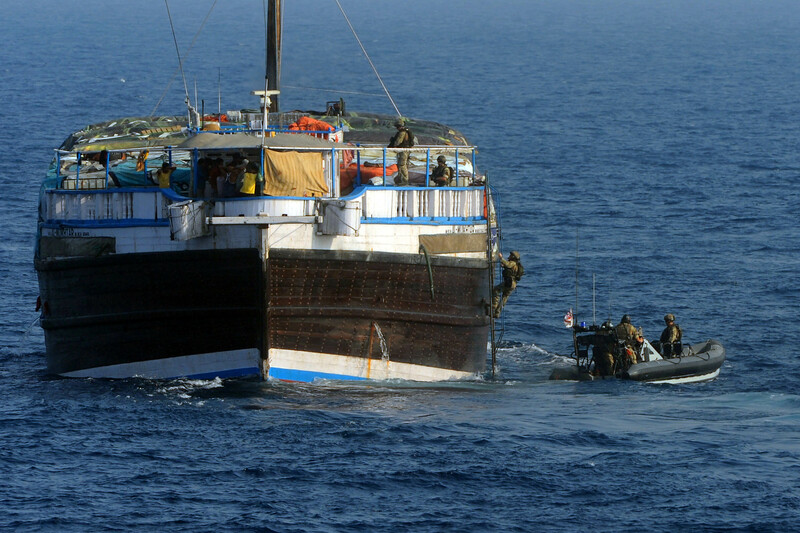 With the assistance of the ship’s interpreter, Army Corporal Emma Warburton, the team established that the three Bangladeshi casualties had been forced into the water as their vessel was seized by pirates. Clinging onto barrels and crates for buoyancy they had survived in the water for three days before being picked up by the passing cargo dhow, the Al Mukhrah. The casualties were in an unstable condition so time was of the essence. The medical team worked fast to stabilise them so that they could be transported ashore by the fastest means. 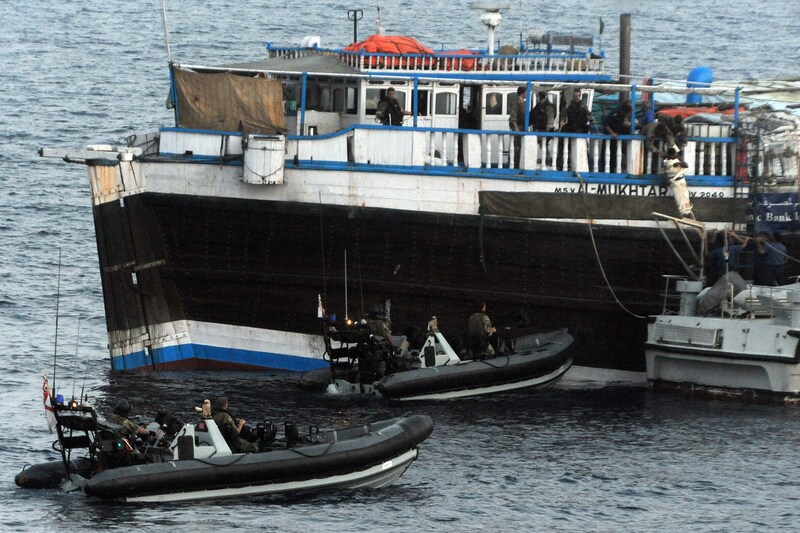 Coordinated by the CTF 150 operations cell, this turned out to be two fast Omani Police boats that had arrived at the scene. HMS ST ALBANS continues its patrol in the gulf contributing to the mission of CTF 150 – To deter, disrupt and defeat attempts by extremist terrorist organisations to use the maritime environment as a venue for an attack or as a means to transport personnel, weapons and other materials.